Carefully trace your letter with the pencil onto the black circle. Draw a simple design around the traced letter with neon pens. Glue the circle inside the pendant. Glue the letter and embellishments in place. Mix up the resin according to the manufacturer's directions. Pour into the bezel on top of your monogram - be careful not to overfill. Place the pendant on a flat surface undisturbed to cure for 8 hours or overnight. Attach a ribbon or trim and enjoy! Check out the JOY Facebook page for more inspiration! 1. Measure and mark where the holes for the lights need to be placed. You can do this either before or after spraying the Smoothfoam with color tint in a well-ventilated area. Option: Smoothfoam can also be painted with craft paint. 2. 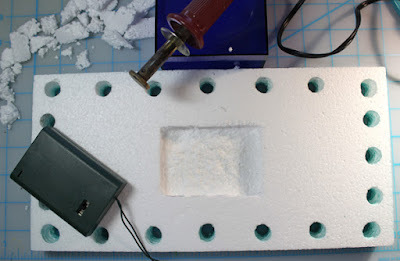 Make holes in the Smoothfoam with the Versa Tool. This is a hot tool, so please read all the instructions carefully and practice on a scrap piece of foam before starting your project. After removing the blade, I used the blade holder to make the holes for the lights. 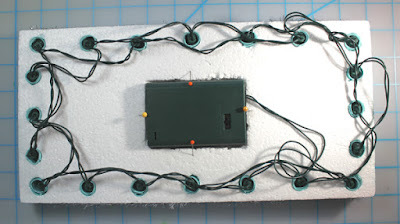 It was a good size for the mini lights I had, but there are other tips that can be used. 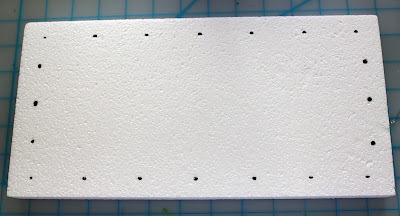 When making each hole, raise the Smoothfoam sheet a few inches up off your work surface then push the heat tool quickly straight up and down from back to front. This step should also be done in a well-ventilated area. 3. Insert one bulb into each hole from the back. Being careful not to go through to the front, I also cut an indented area in the back of the foam sheet for the on-off switch and battery holder. I used a sharp knife to cut the outline of the rectangle, scooped out the center then smoothed the bottom with the heat tool and the round disc tip. With the switch facing outwards, the battery holder can be held in place temporarily with a 3D glue dot. TIP: If the bulbs are loose, wrap the base of each one with a 1/2" wide strip of cardstock before inserting in the hole. The cardstock will act as a shim. 4. 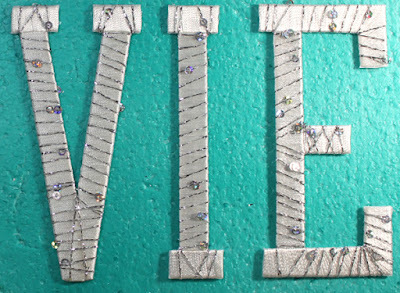 Wrap each of the letters with fine, decorative yarn or thread then glue in place. 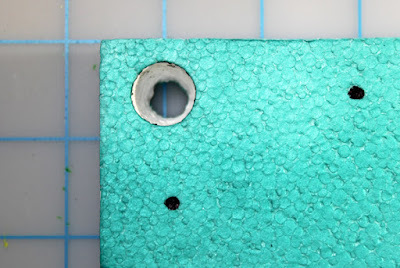 I also outlined the edge of the foam with tinsel, held in place with small sequin pins. 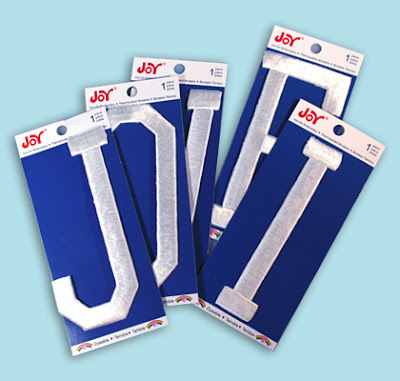 Joy 3-D embroidered letters can be found at your local craft stores. Enjoy! 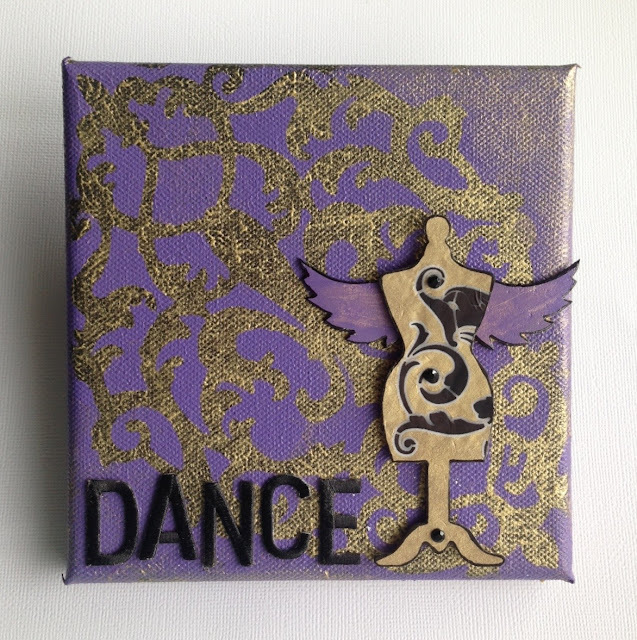 This mini stencil art canvas serves as my daily reminder to get off the sofa and move! I started with a 6" square black canvas - it's already wrapped and stretched around a frame. I brushed a coat of sheer gold paint over the top, then tapped at the paint with the side of my brush to add random texture. Once that was dry, I used a cosmetic sponge to dab purple paint over it with a stencil. I rubbed a little extra gold in the corners to tone down the purple. When the paint was dry, I glued my "dance" letters in place. Then I painted a cute little chipboard dressmaker's mannequin and a pair of wings. After outlining the chippies with a black marker, I accented the mannequin with a rub-on and some bling, then adhered it to the canvas with dimensional foam squares. We all know that April showers bring May flowers, so why not plan ahead for those showers? With this "rainy day fund" jar made using JOY embroidered letters, you've got those days covered! 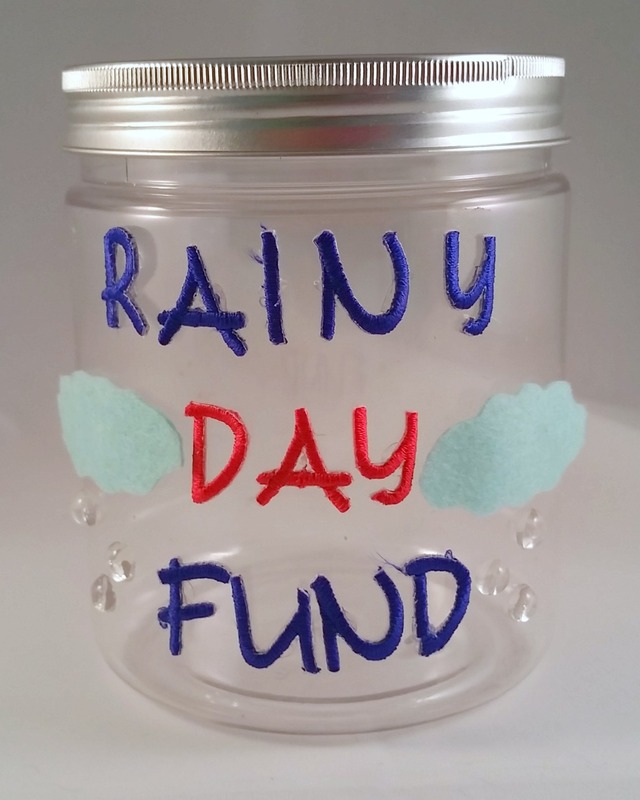 Even though these are the iron-on letters from JOY, I was able to attach them to a jar using adhesive dots. I cut some clouds from felt and finished it off with clear gem "raindrops". Now you and the kids can save up extra change to pay for a rainy day activity, like going to the movies, indoor mini-golf, or play center! I am all about recycling, but most of the tote bags that the grocery stores sell are not very cute or crafty. 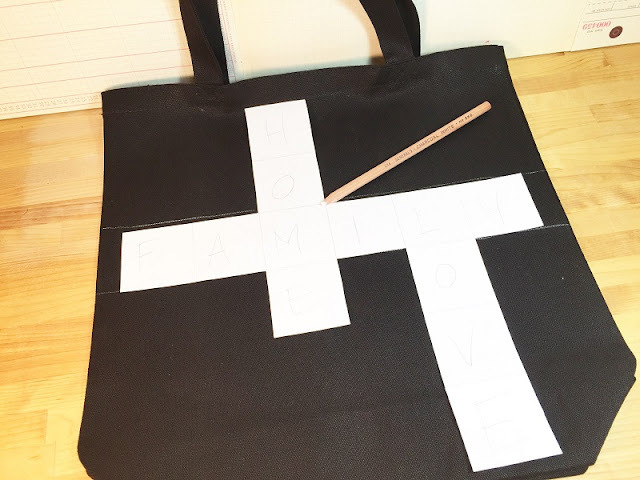 So in honor of family game night, I created a Scrabble-inspired bag to tote around town! This project makes the perfect quick and easy handmade gift to create for Mom for Mother's Day! Decide what words you want to spell and how they'll connect, making sure the arrangement will fit on the front of your tote bag. Draw a grid of square tiles on graph paper to fit each of your letters. I selected the Joy 1.5" Cooper Style letters, so my tiles are 2" square. Cut out the grid and place it on the front of the tote bag. Lightly sketch guidelines with a chalk pencil. Stamp square tiles in place within your guidelines. I used the Ann Butler Designs EZ-De's Checkered Woven Hearts set with ColorBox Crafters Ink by Ann Butler in Desert Sand. Instead of stamping squares, you can also paint them in by hand. Heat set the ink or paint with an iron. Remove any chalk lines with an eraser. 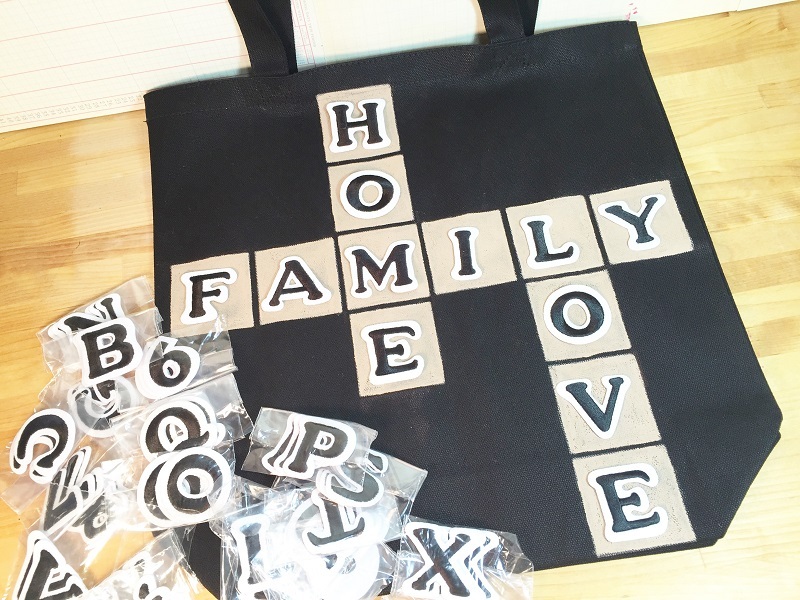 Peel the backing paper away from each letter and place one inside each tile. 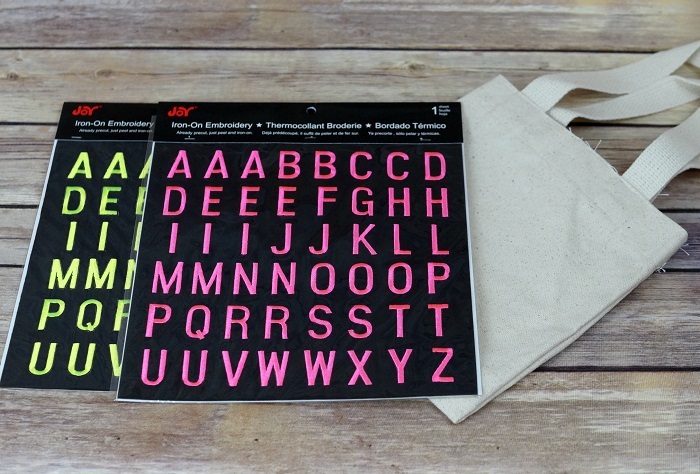 JOY letters have pressure-sensitive temporary adhesive on the back for easy placement. Iron-on each letter according to the Joy package directions. Write in the point value of each tile in the bottom right corner with a fine point permanent marker. 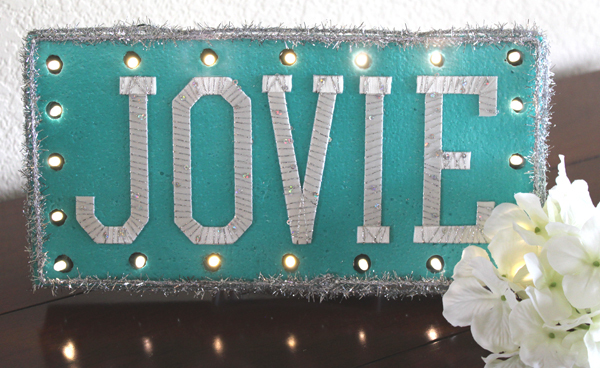 Joy, iron on embroidered letters can be found at your local craft stores! 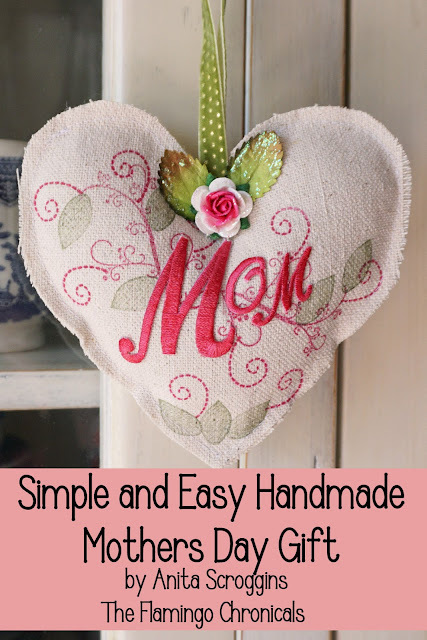 This amazingly cute Mother's Day sachet is so quick and easy to make, I am actually staying ahead of the game and I'll get my gifts done BEFORE the holiday arrives. Mother's Day is right around the corner - it will be here before we know it! 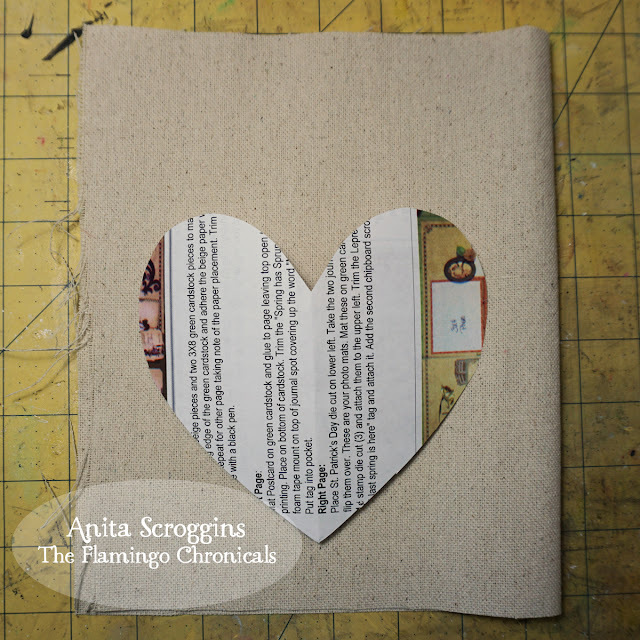 I made a pattern using some scrap paper - I just folded it in half and cut a heart, old-school style. My fabric is a scrap left over from a painted canvas that I used for a party backdrop a couple of years ago. 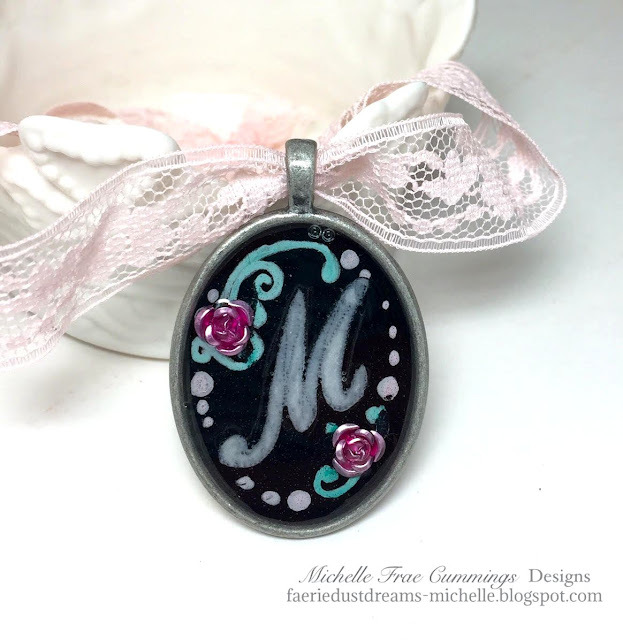 I stamped the top layer using small scale stamps from my collection and StazOn inks. I colored my Joy Iron-On Letters using a Stampers Big Brush Pen from Faber-Castell, then ironed them on, following the manufacturer's directions. I machine-stitched most of the way around my heart using a straight stitch, stuffed it with filler, then closed the opening. I added a velvet ribbon, flower, and leaves to the very top to finish it off. We are so looking forward to our daughter's wedding this summer, and I have the perfect Joy embroidered letters for this paper rosette banner I made for the reception! 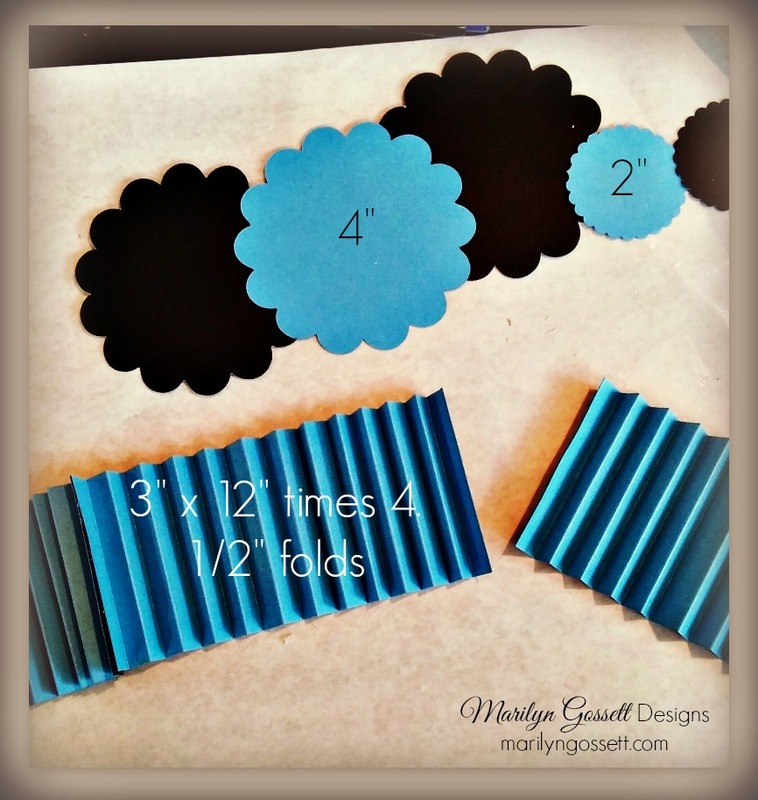 For each paper rosette, accordion-fold 3" x 12" strips of cardstock, scored every 1/2". Glue the folded strips together end to end, with the same color facing up. Form the long strip into a circle and glue the two ends together. 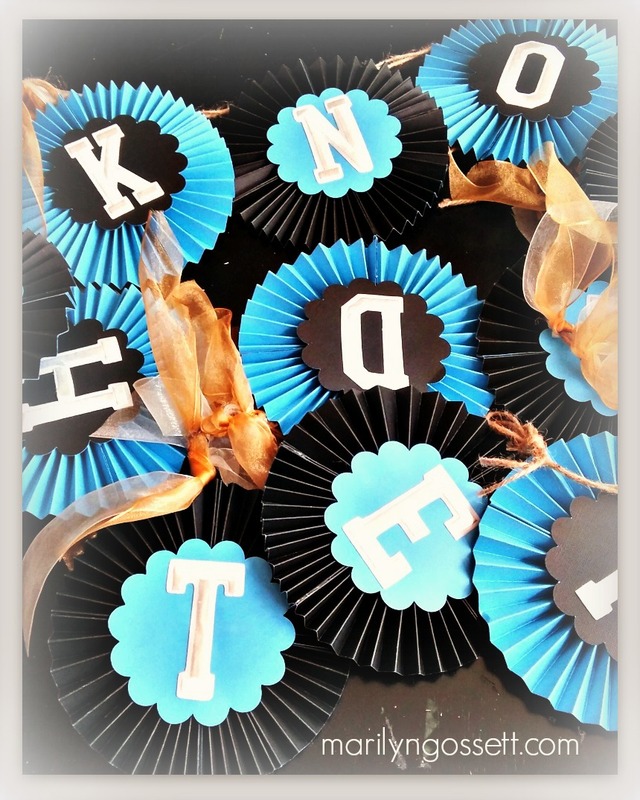 Glue 2" circles to cover the center hole on both sides Make enough rosettes for each letter of your sentiment - this design took 11 rosettes with the teal and black colors alternated. 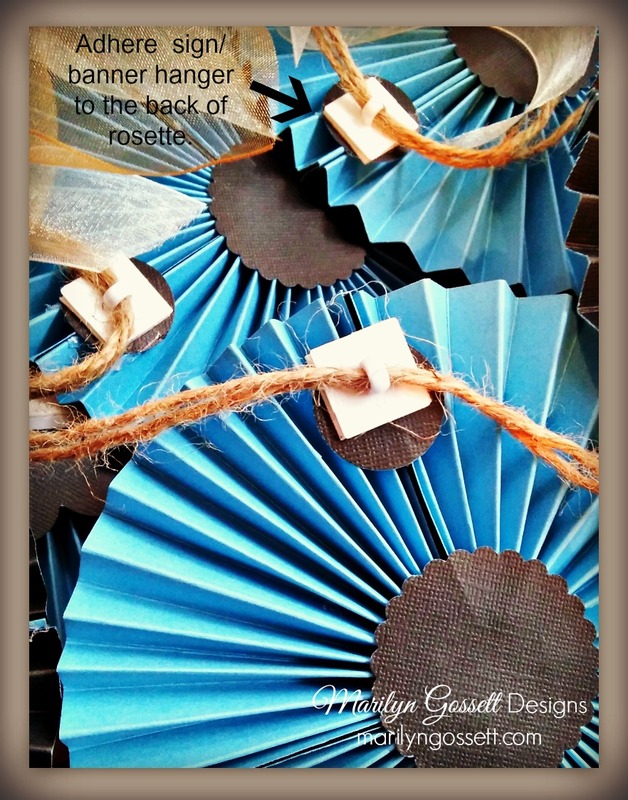 Glue a letter on top of each rosette. 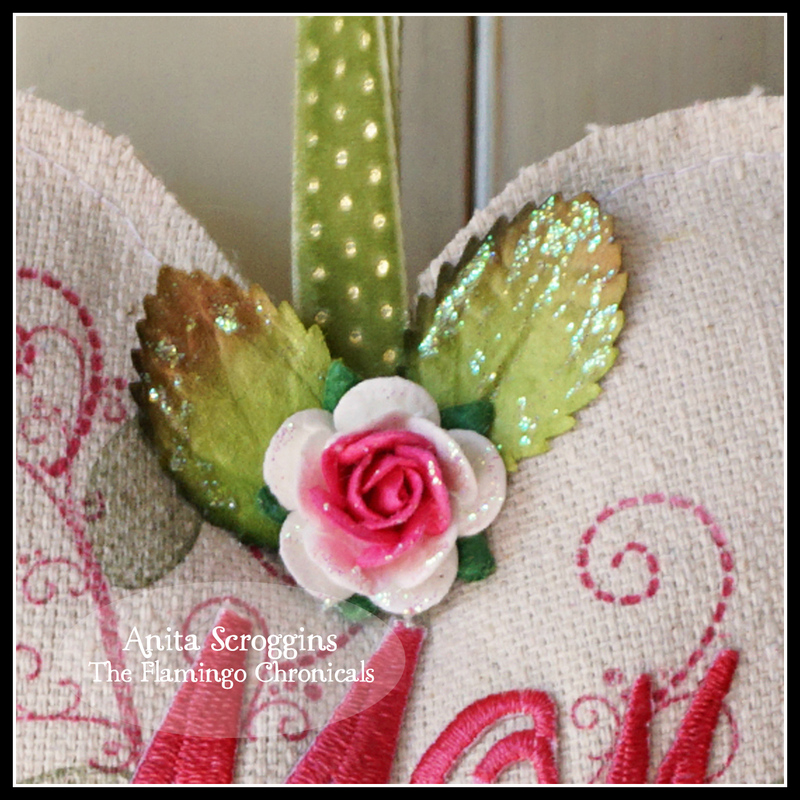 To hang the banner, glue a 1" circle of cardstock near the top of the back of each rosette. Glue a hanger to each circle as shown, so you can thread the jute string through each hanger for the letters to hang straight. Tie a loop in each end of the jute to hang the banner. Tie ribbon bows between each word and at each end of the banner, alternating the gold and white. 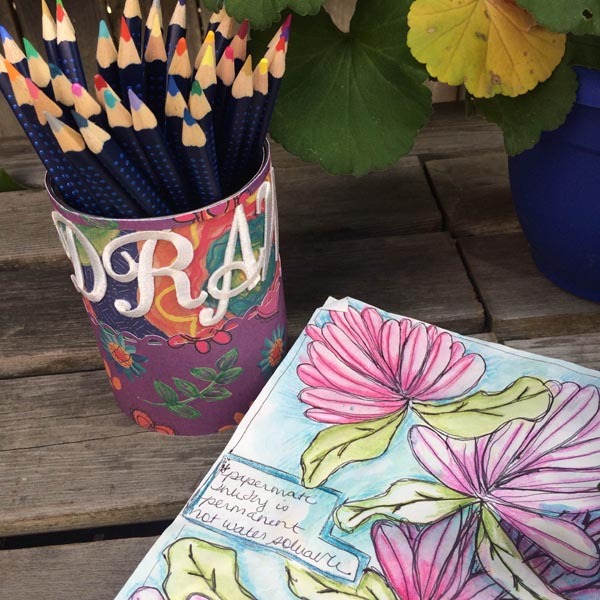 I love a good upcycled craft - and as someone who also loves to sketch, I have a lot of drawing supplies. I'm always trying to find a way to organize my supplies so that they are easy to find. Organizing solutions can cost a small fortune, so I tend to find creative ways to reuse and recycle. Of course, food cans are always a good choice when you need a new pencil cup. 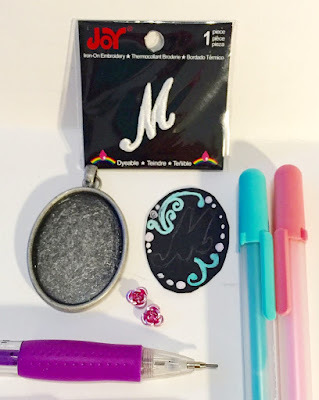 I'm sure you have seen a million tutorials about covering them in decorative paper, but why not take it up a notch and add some Joy embroidered letters to the mix? My pencil cup reminds me that I want to draw everyday. I'm thinking I might add some other cans to the mix, maybe one that says WRITE, for my favorite pens, and another that says, CUT for my scissors. 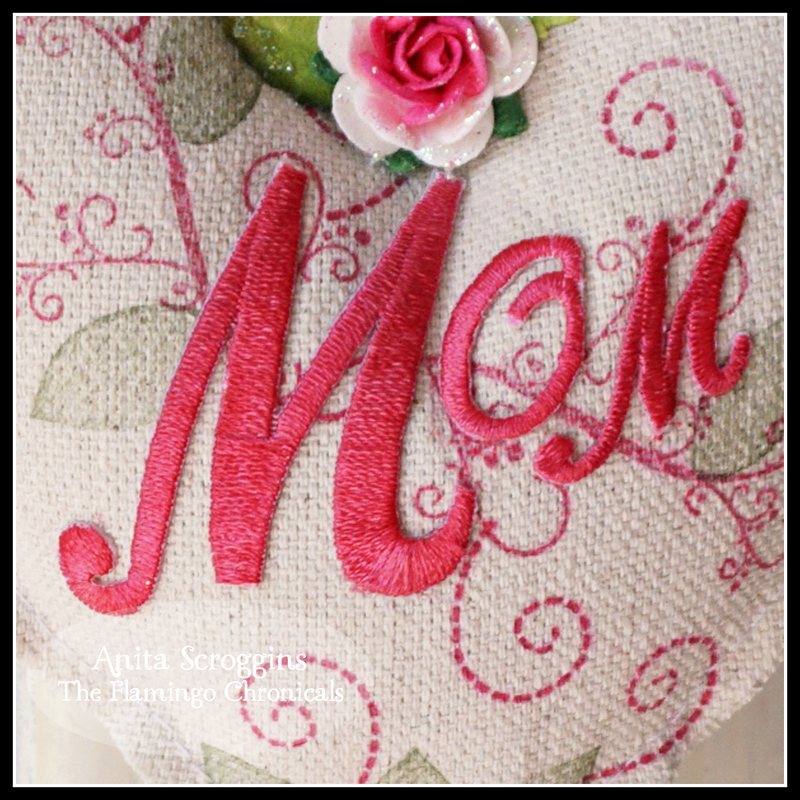 Labeling the cans is a great way to keep organized and using Joy embroidered letters makes labeling them very pretty and special. 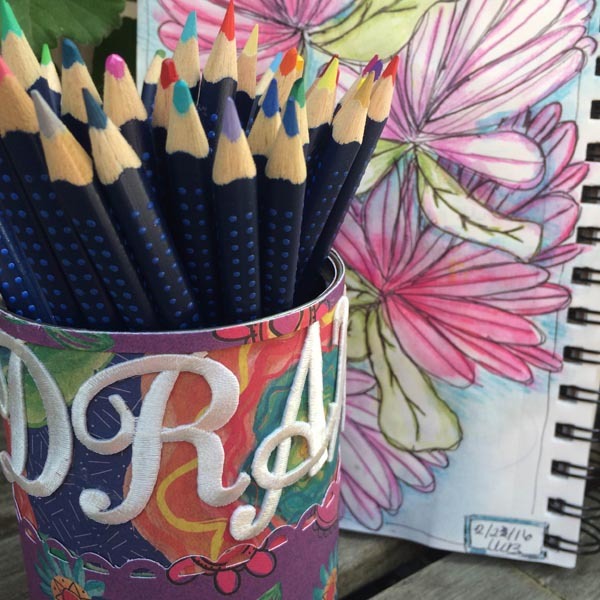 To make this pencil cup, just cover a clean can with scrapbook paper, then glue your word on top. You can find Joy embroidered letters in your local craft store. My niece Serenity just turned 5. 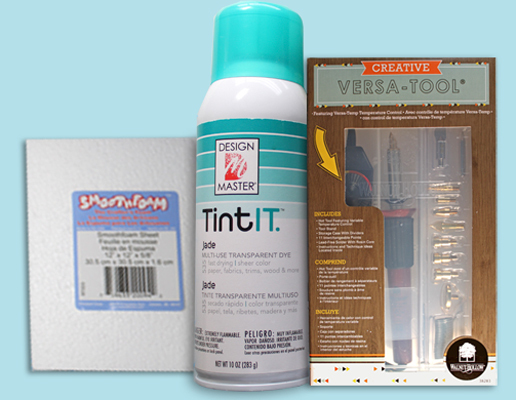 When I heard that she wanted craft supplies for her birthday, I jumped all over that one! Who doesn't like a personalized bag, to let everyone know just who's bag it is? 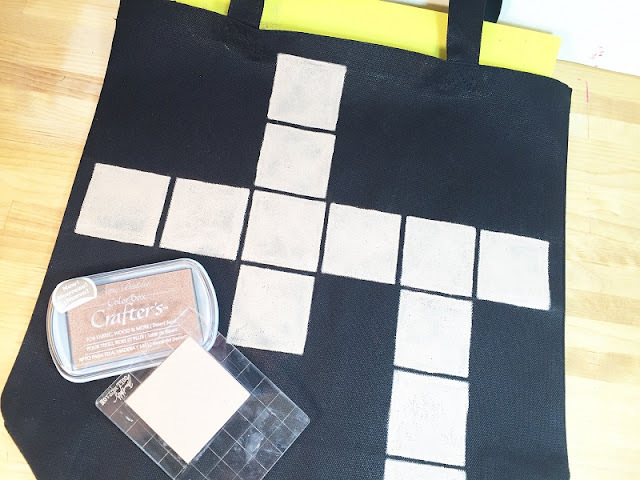 I had a small 8" x 8" canvas bag from Canvas Corps and iron-on letters from Joy. 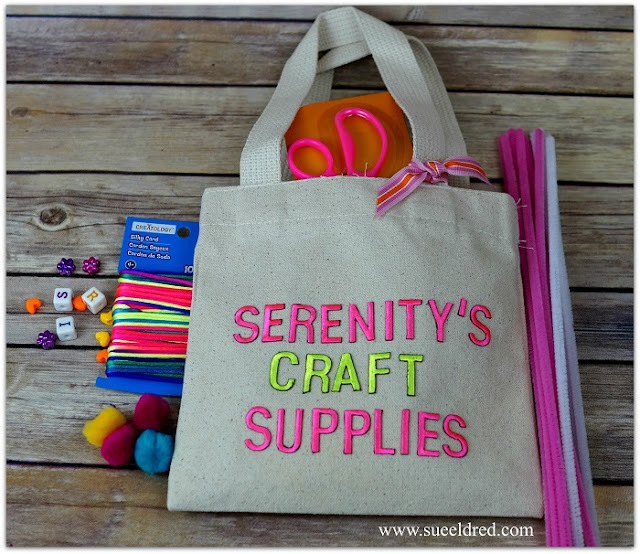 I filled Serenity's bag with a divided container full of beads and gave her paintbrushes, pom poms, craft stems and pink scissors....things a typical 5-year-old might need. This is the time of year that my thoughts turn to gardening. I love to get outside in the warm air and sunshine and get my fingers in the soil! And, I have found JOY letters are the perfect thing for labeling my pots and plantings. 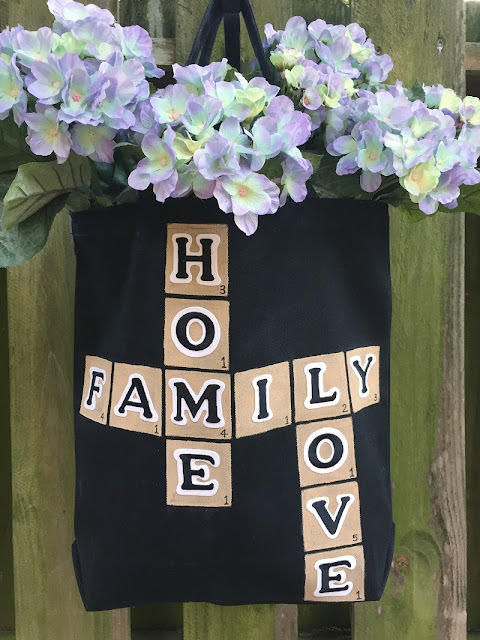 Whether you're starting herbs for your window sill or setting out your garden, dress up your signs and pots with JOY letters. Paint pots or tags. Distress if desired by sanding and dabbing with another paint color. 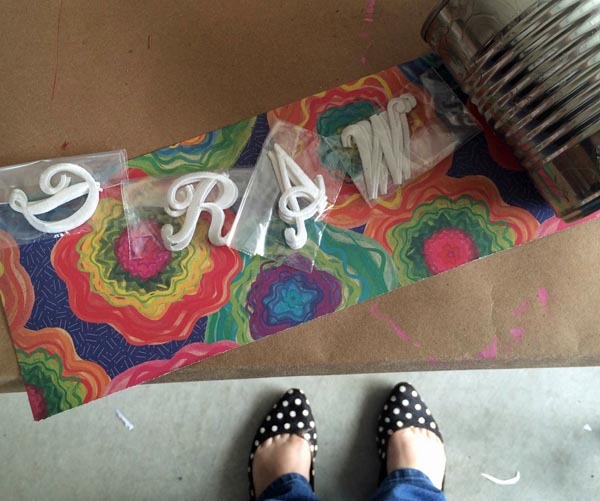 Glue letters to surface. Glue stick to back of tag and tie fibers through hole. 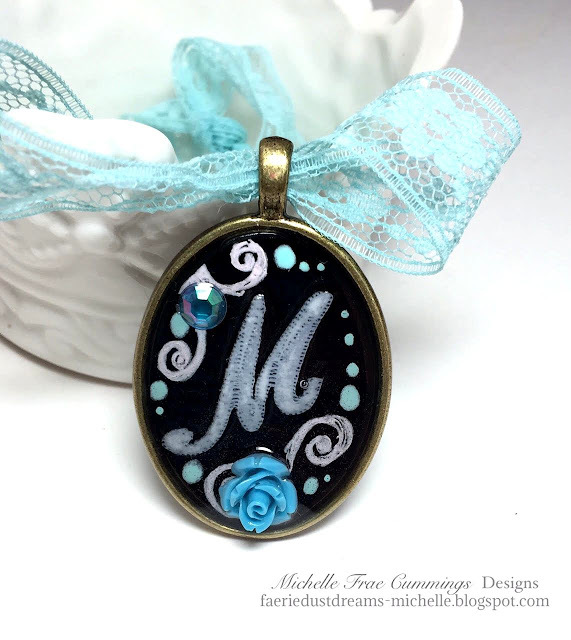 Or, hang the tag from a heavy wire hanger and place the letters running down the tag.